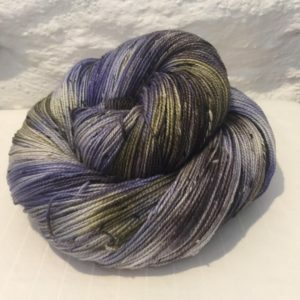 The Peak District is famous as one of the few places on earth where you can find Blue John – a bluey/purpley mineral made of flourite This colourway was inspired by this mineral. 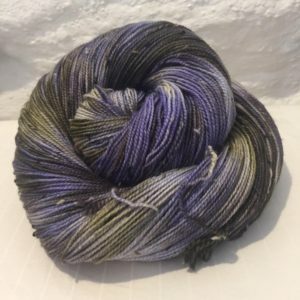 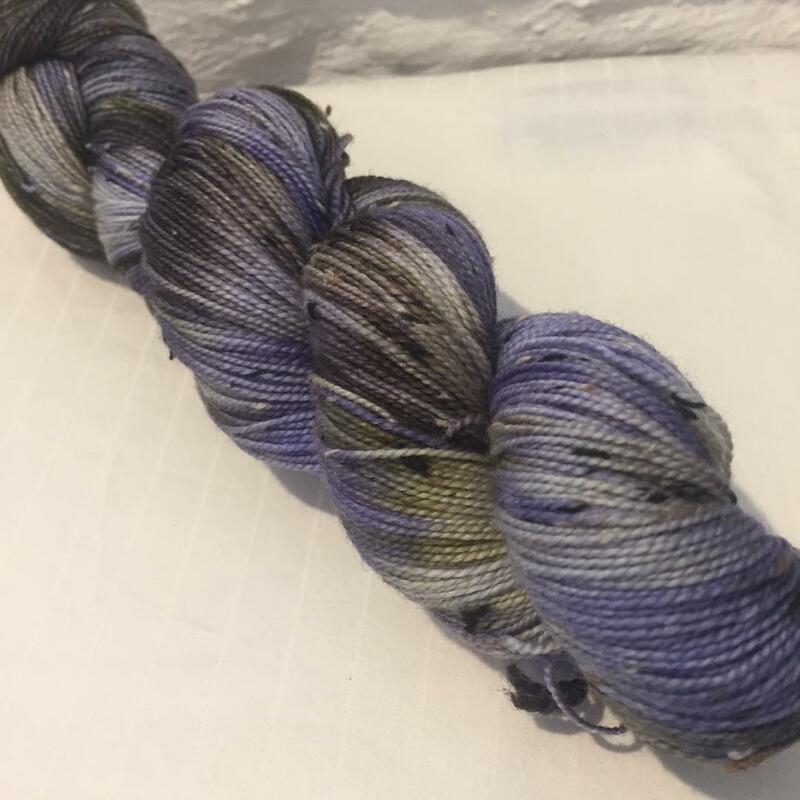 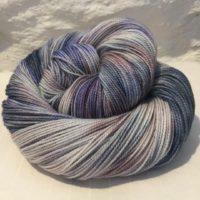 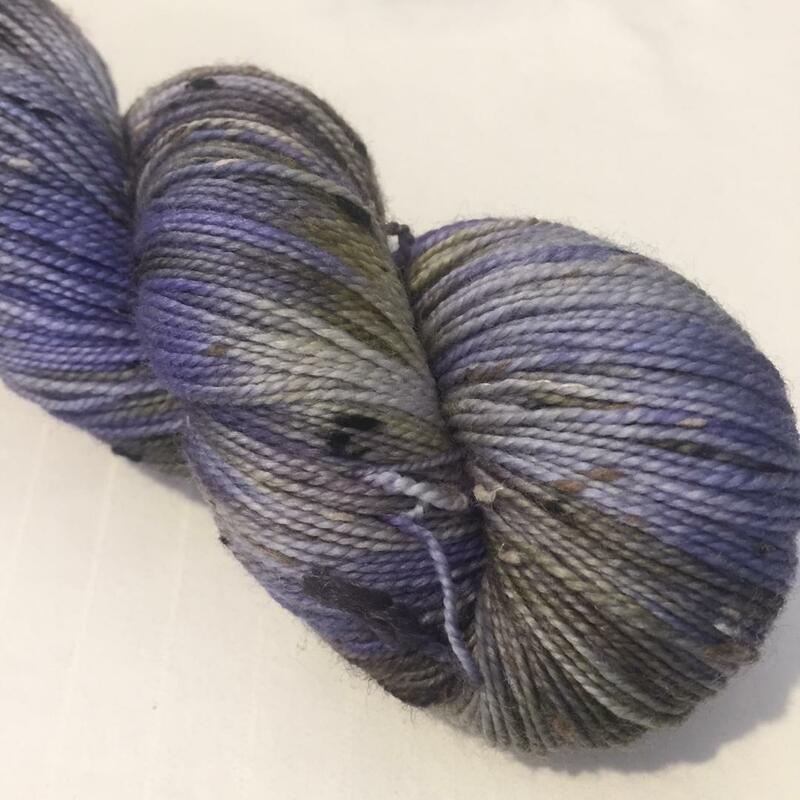 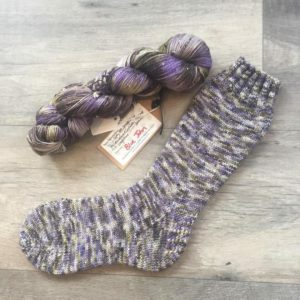 Hand-dyed onto a super-soft bluefaced leicester nep yarn, shades of brown, grey and vibrant purple are randomly applied, with the grey/black nep adds extra texture. 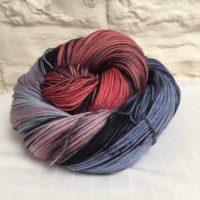 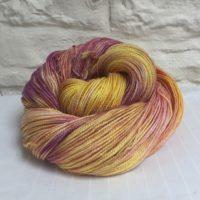 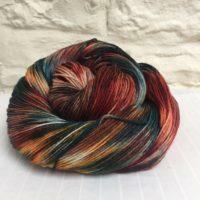 With 15% nylon nep for added strength, it is a perfect yarn for socks or a one-skein shawl.